Beautifully cast and well packed. There is nothing better for me than to be able to build nice compact vignettes, and when a product like this comes out, it just makes it much easier for me. 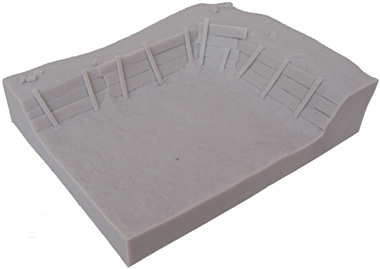 This is a one piece resin casting of a Flak emplacement, though it could be used in other ways as l intend to very soon. The quality is excellent and the detail outstanding. 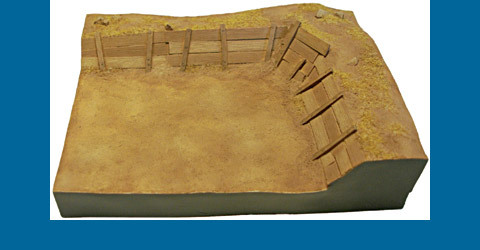 With the right paint job and a little extra ground detail, this will finish into a perfect base for that little dio / vignette you may be planning. This is a great product and l look forward to other releases that may be available in the future.